We would like to thank Ankur Dave from UC Berkeley AMPLab for his contribution to this blog post. Databricks is excited to announce the release of GraphFrames, a graph processing library for Apache Spark. Collaborating with UC Berkeley and MIT, we have built a graph library based on DataFrames. GraphFrames benefit from the scalability and high performance of DataFrames, and they provide a uniform API for graph processing available from Scala, Java, and Python. Python, Java & Scala APIs: GraphFrames provide uniform APIs for all 3 languages. For the first time, all algorithms in GraphX are available from Python & Java. 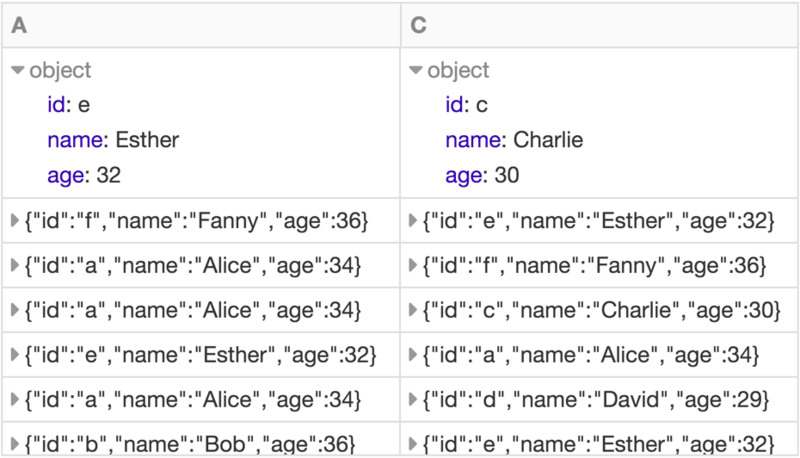 Powerful queries: GraphFrames allow users to phrase queries in the familiar, powerful APIs of Spark SQL and DataFrames. Saving & loading graphs: GraphFrames fully support DataFrame data sources, allowing writing and reading graphs using many formats like Parquet, JSON, and CSV. In GraphFrames, vertices and edges are represented as DataFrames, allowing us to store arbitrary data with each vertex and edge. Say we have a social network with users connected by relationships. We can represent the network as a graph, which is a set of vertices (users) and edges (connections between users). A toy example is shown below. 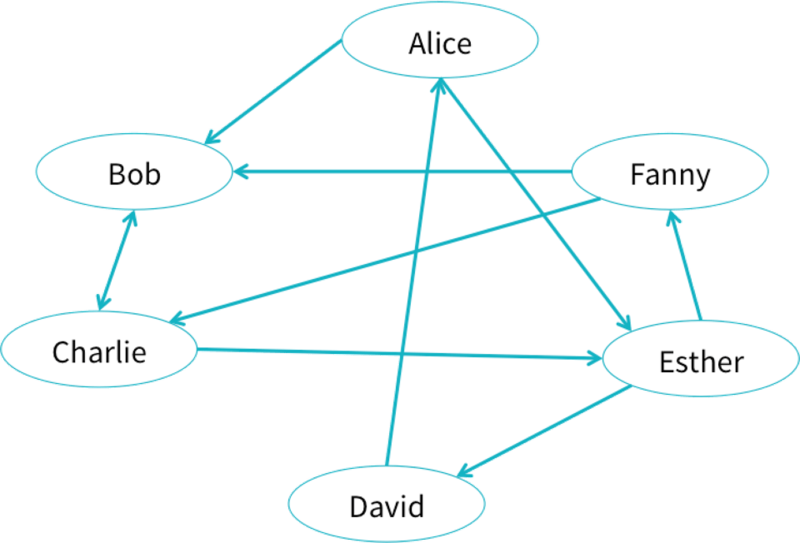 We might then ask questions such as “Which users are most influential?” or “Users A and B do not know each other, but should they be introduced?” These types of questions can be answered using graph queries and algorithms. GraphFrames can store data with each vertex and edge. In a social network, each user might have an age and name, and each connection might have a relationship type. 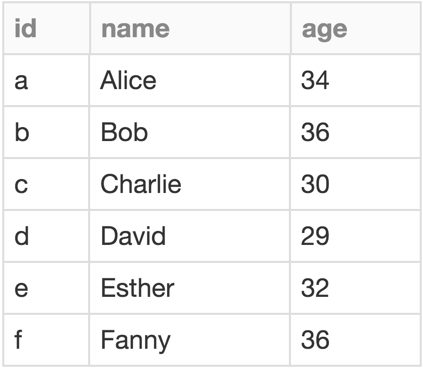 GraphFrames make it easy to express queries over graphs. Since GraphFrame vertices and edges are stored as DataFrames, many queries are just DataFrame (or SQL) queries. How many users in our social network have “age” > 35? How many users have at least 2 followers? We can combine the built-in inDegrees method with a DataFrame query. Motif finding lets us make powerful queries. 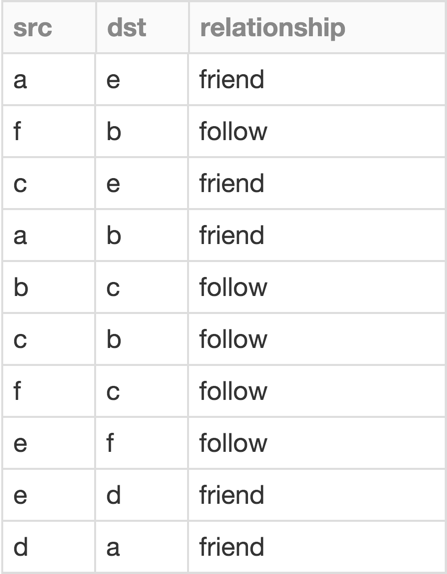 For example, to recommend whom to follow, we might search for triplets of users A,B,C where A follows B and B follows C, but A does not follow C.
GraphFrames fully integrate with GraphX via conversions between the two representations, without any data loss. We can convert our social network to a GraphX graph and back to a GraphFrame. See the GraphFrame API docs for more details on these conversions. Graph-specific optimizations for DataFrames are under active research and development. Watch Ankur Dave’s Spark Summit East 2016 talk to learn more. We plan to include some of these optimizations in GraphFrames for its next release! Get started with these tutorial notebooks in Scala and Python in the free Databricks Community Edition. Download the GraphFrames package from the Spark Packages website. GraphFrames are compatible with Spark 1.4, 1.5, and 1.6. Learn more in the User Guide and API docs. The code is available on Github under the Apache 2.0 license. We welcome contributions! Check the Github issues for ideas to work on.